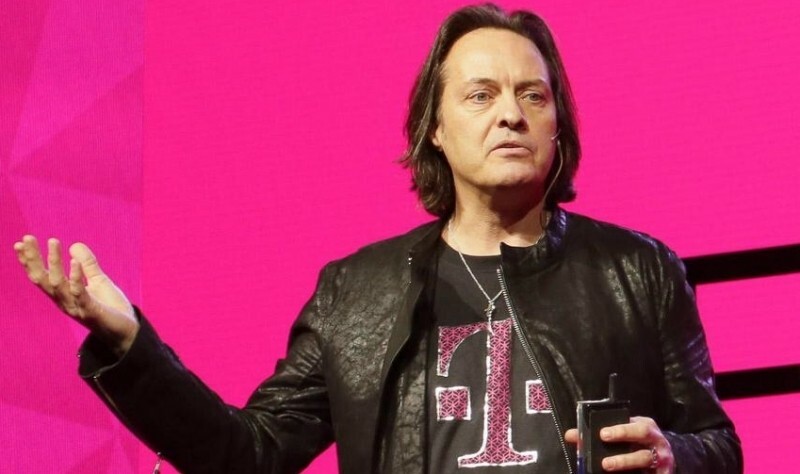 T-Mobile’s Uncarrier strategy continues to pay dividends as the wireless provider on Tuesday said it added 1.8 million customers during the first three months of 2015. Of those, 1.1 million were of the lucrative post-paid variety. The newcomers bring T-Mobile’s total subscriber count to 56.8 million and likely propel it to third place among the nation’s top four wireless providers although we won’t know for sure until Sprint releases its quarterly report on May 5. CEO John Legere said this is the eighth consecutive quarter with more than one million total net customer additions. While its subscriber growth continues to impress, T-Mobile is certainly paying for it financially as its attractive promotions aren’t cheap to run. The carrier reported revenue of $7.8 billion, ahead of the $7.7 billion that analysts were anticipating and 13.1 percent more than the same period a year ago. Even still, T-Mobile reported a loss of $0.09 per share during the first quarter – still better than the $0.19 it lost a year earlier but a loss is a loss. The hope is that short-term hits to its earnings will be worth it over the long haul. CFO Braxton Carter said the company expects to post profits for the three remaining quarters of 2015 as well as for the full year. For the yearly outlook, T-Mobile expects to add between 3 million and 3.5 million new subscribers.